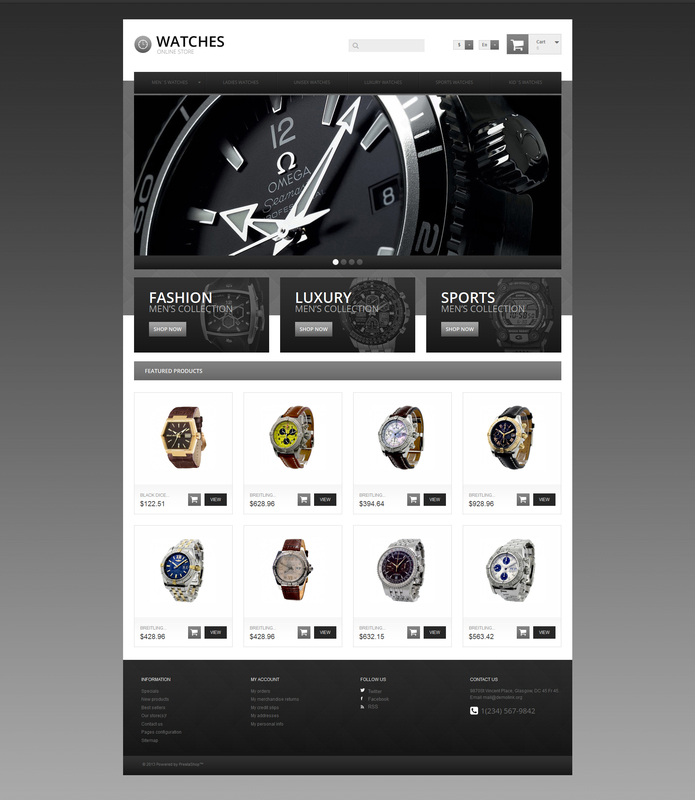 We are glad to present you this elegant Watches Online Store PrestaShop theme suitable for selling accessories, jewelry, and other exclusive wares. It has been designed with a strict monochromatic palette to let you highlight your product images more efficiently. Its boxed layout is simple and straightforward, meaning it gives you more control over your website's structure. The product page layout features cloud zoom effect, social sharing buttons, product carousels, and various filters and cross-selling options. This theme is fully responsive, and is compatible with PrestaShop up to 1.5. I am very satisfied with this template, like others what i have bought about hundred items.